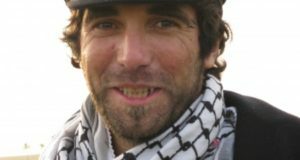 A former IDF soldier who was found guilty of manslaughter in the 2003 shooting death of British peace activist Thomas Hurndall in the Gaza Strip will be released early from prison next month. Taysir-al-Heib was sentenced in 2005 to eight years in prison for manslaughter as well as obstruction of justice and giving false testimony. The decision to shorten his sentence was made by an army committee, against the advice of Military Advocate General Brig. Gen. Avichai Mendelblit. 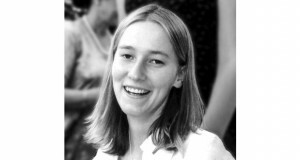 Hurndall, a 22-year-old student, was shot in the head in April 2003 as he was photographing the work of International Solidarity Movement activists. Witnesses said Hurndall had been helping Palestinian children avoid IDF tanks. In his investigation, Al-Heib initially claimed he had fired on an armed Palestinian, enlisting supporting testimony from another soldier in his unit. A few months later, however, the second soldier told Military Police investigators that he had not witnessed the incident. In the verdict, the judges upheld all the arguments of the military prosecution, outlining and emphasizing the series of false and contradictory versions of the incident provided by al-Heib throughout the investigation. The judges found that al-Heib had shot Hurndall with a sniper’s rifle, using a telescopic sight, and that al-Heib had given a “confused and pathetic” version of events to the court. The court also referred to a confession by the defendant in which he said he had wanted to teach Hurndall a lesson for entering a forbidden zone. Al-Heib admitted to aiming 10 centimeters to the left of Hurndall’s head to frighten him and inadvertently shooting the activist. 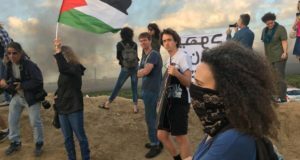 ISM members often place themselves between IDF troops and Palestinians in an effort to prevent military operations.